Marc talks about what happened on this day in history including the murder of Hunkpapa Lakota Sioux leader Sitting Bull, the day we lost civil rights leader Septima Poinsette Clark, and the American Psychiatric Association voting unanimously to remove homosexuality from its official list of psychiatric disorders. A transcript of this day in history is included below. This is Marc Steiner, and today is December the 15th. That’s Lena Horne performing Stormy Weather. That song was recorded today in 1941. Horne was deeply involved in the Civil Rights movement, and was blacklisted because of her activism. During World War Two, the US Army and USO banned integrated audiences. Lena Horne refused to perform for a racially segregated audience. During one concert, her audience was made up of African American soldiers and white German Prisoners of War. The black soldiers who fought for this country, however, were forced to sit in the back behind the German POWs. Lena Horne walked off the stage back to the first row where the black troops were seated and performed for them with her back to the German POWS. She spent time with Medger Evers and President John F. Kennedy shortly before they were assassinated. Lena Horne performed at the March on Washington and worked with Eleanor Roosevelt to pass anti-lynching legislation. And in 1890, Hunkpapa Lakota Sioux leader Sitting Bull was killed on the Standing Rock Indian Reservation. 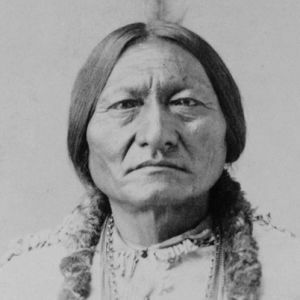 Sitting Bull was great spiritual leader of the Sioux, who led his people into battle with the US Government to fight against policies to confine native people in reservations. At the Battle of Little Horn, indians under Sitting Bull’s leadership took the lives of General George Armstrong Custer and his 7th Cavalry. After that battle, he continued to lead the fight for his people’s land and way of life, leading them to Canada to find freedom. In 1881, he reluctantly agreed to lead what was left of his people to the Standing Rock Indian Reservation. He went off to work for Buffalo Bill Cody’s Wild West Show. When he returned home again, a spiritual resistance movement had begun among Native people that foretold of days that would bring the end of the White man and a return to their traditional ways. The US government feared that Sitting Bull would lead that movement. They sent a contingent of Indian police officers to arrest him and Sitting Bull resisted.. His supporters came to his cabin. The police shot Sitting Bull in the chest and head. Over 60 years later in 1953, his descendants took his bones and laid them to rest in his birthplace: Moburg, South Dakota. Wilma Mankiller, who many saw as a direct political descendent of leaders like Sitting Bull became the Head of the Cherokee Nation in Oklahoma today in 1985. This was significant because she became the first woman leader of an American Indian Nation. She spent years as an activist. She was part of the Indian takeover of Alcatraz in 1971, and she became a leader for Indian rights throughout her life despite crippling illnesses. A few days later Rosa Parks refused to move her set on the bus. And the American Psychiatric Association voted unanimously to remove homosexuality from its official list of psychiatric disorders. This happened 41 years ago in 1973. Until then, homosexuality was considered a disease that psychiatrists treated with drug treatments, cold water therapy, and electroshock. And, this is the Day of Remembrance for Journalists Killed in the Line of Duty. It is observed in the place where it originated: Russia. It began in 1991 after the death of two Russian journalists. Since it’s origin, 1,084 journalists have been killed across the world. Here’s a song for you to think about on this December the 15th. In 1949, a jazz club opened in New York that would become a hotspot for musicians like Miles Davis, John Coltrane and Thelonious Monk. It was called Birdland, and it was named after the godfather of bebop Charlie Parker. This is a 1950s performance of Charlie Parker and Coleman Hawkins from that era.